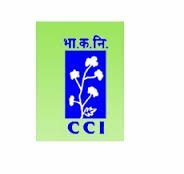 Field Assistant / Clerk Vacancies – Last Date 17 October, Cotton Corporation of India Limited (CCI) recruits Field Assistant / Clerk post. B.Sc., B.Com., Graduate freshers candidates can apply. I am MBA finance and marketing completed , can I apply this job? I have completed graduation from jaunpur .Can I apply for this job?? I have completed our graduation from Delhi University in Political Science Hons… can I Apply for this JOB??? I am a b.com student, can I apply this job?